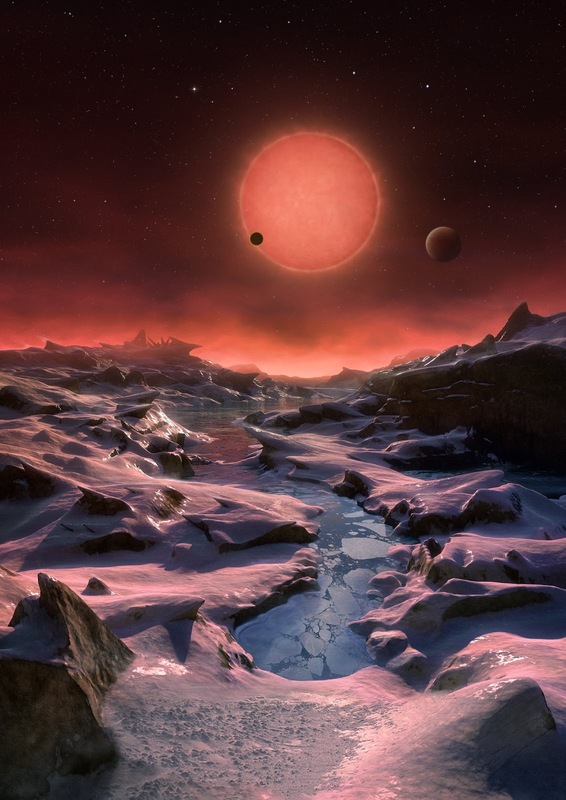 Astronomers from Belgium have discovered the three potentially habitable Earth-like exoplanets circling an ultra-cool dwarf star, called TRAPPIST-1, nearly 40 light-years from Earth. These three planets are one of the smallest exoplanets ever spotted, with a radius slightly larger than Earth's, and they are the very first planets spotted around an ultra-cool dwarf – a dim star which is not much larger than Jupiter. The research has been published in Nature. The most thrilling thing about this finding, made possible by the Belgian TRAPPIST telescope as the planets traveled in front of the star, is that these planets are close enough for us to examine. Many of the other potentially habitable planets we've discovered are much further away and around much perkier stars, so it is harder to observe. At first, the system might not seem that promising. Two of the planets, TRAPPIST- 1b and c, have years lasting about 1.5 and 2.4 Earth days respectively, meaning they orbit very closely, while TRAPPIST-1d has a less well determined period in the range of 4.5 to 73 days. However, the star has a surface temperature of only 2,550 Kelvins (2,277°C / 4,130 °F ), so they are unlikely to be inferno worlds. Instead, they could be quite the opposite. The closest two planets receive no more than four times the amount of radiation received by Earth, while the furthest planet likely receives less. This puts the planets at the edges of the star's habitable zone, the region in which liquid water can exist. It's not certain if the planets are solid, but TRAPPIST-1 is rich in heavy elements, which indicates a suitable evironment for rocky planets to form. The planets have a radius of 1.11, 1.05, and 1.16 times that of Earth, which combined with their locations strongly indicates that these objects possess some of the right conditions for life. The planets’ temperatures could range from slightly higher than water’s boiling point to well below freezing.